If you hold registration from one of our member organisations listed below, you can check to see what levels you can gain portability to another ICREPs member register, along with any conditions that are imposed when porting. Not all registration levels are equivalent or portable even if they use the same name in different countries. As each country uses its own standards and registration categories, some ICREPs members (countries) may not be portable with other ICREPs members (countries). If the table below indicates that a particular registration is portable, this means that you are able to use your registration in one country to prove eligibility in the other, it DOES not register you to work there, you still need to apply and complete any local requirements as noted in the search results below. Individuals moving between countries will still need to meet any immigration/work visa requirements of any country they wish to work in. All due care has been taken to produce this table, but due to ever-changing standards in countries, it may not be accurate in all cases/circumstances. We recommend before making any major decisions to ensure that (1) you are registered in the country you presently operate in and (2) you contact the country you are thinking of moving to and verify the exact process of portability with them directly. If a member register you are trying to port to advises you of something that conflicts with information in this table, then their decision/information takes precedence. 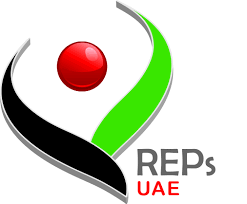 ICREPs does not register individuals, nor does it offer any services to exercise professionals (including personalised advice on portability). 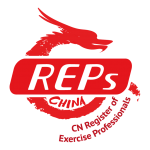 All queries should be directed to ICREPs members directly (logos at the bottom of the page contain links to the register). Individuals who contact ICREPs will be referred here.